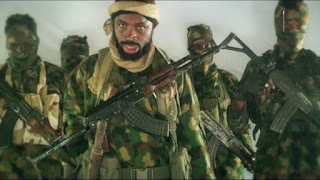 The Save Humanity Advocacy Centre (SHAC) has accused the Amnesty International of working for the Boko Haram sect against the interest of Nigeria. According to the group, the stories about 60 persons killed by Boko Haram in Rann was not only false but contrived by Amnesty International in its usual attack to diminish the efforts of the Federal Government as a failed state whilst dampening the moral of troops to confer advantage on the fleeing elements of Boko Haram. SHAC said it is now evident that AI appears more desperate that the Peoples Democratic Party, PDP, in dissemination of false information and propaganda just to whittle down the government’s efforts against insurgency. Addressing a press conference on Saturday, SHAC, through its Executive Director, Intelligence and Investigation Bereau, Adams Odoh, called on the Federal Government to review its stance and expel Amnesty International from the country. It also opined that the AI should be officially listed as an affiliate of Boko Haram to pave way for the organization and its staff to be treated as terrorists in view of their terrorism-supporting activities. “You may wish to note that Boko Haram’s propaganda infrastructure suffered some measure of decline as the media in Nigeria has increasingly become aware of the dangers of helping the terrorists to promote instances in which they carry out attacks. Some of the so called activists and pseudo-journalists that help Boko Haram to promote its propaganda were also identified, which has made media houses to be wary of posts and comments from such individuals. “This lack of visibility on the part of Boko Haram must hurt the confidence of its fighters since they rely on the mainstream and social media to hype their evil deeds for them to be able to strike terror in the heart of Nigerians. “Close watchers of the unfolding situation in Nigeria’s northeast should at this point begin to question if Amnesty International is scheming to usurp the role of the Nigerian military in verifying and investigating attacks carried out by the terrorists. This development, in which Amnesty International hijacked the role of the Nigerian state, should begin to convince those in doubt that this so called NGO not only have a morbid disdain for the Nigerian state but is also concluded in doing all that is possible to lead to the demise of the country. “Note that the only acknowledgement that Amnesty International has for Nigerian authorities was to cast aspersion on them, viz alleging that they abandoned civilians to the terrorists. The fable about troops leaving Rann before the attack has all the makings of an organization that want to corral public opinion against the military and the state. Yet, the same Amnesty International has on too many occasions manipulated the situation to allege that the presence of the military in civilian areas was a recipe for abuses of civilian rights. This makes it confounding how this organization wants the military to stay away from civilian areas and protect civilians while staying away at the same time. It must also be mentioned that there had been allegations in the past that organizations like Amnesty International are in the business of passing military intelligence secret that they gather in the course of their work to Boko Haram terrorists. For the same NGO to be the one promoting the story about the attack in Rann raises concerns about what links it has to this particular attack, which it became aware of before even the residents of the community. We sincerely want to know what other shady dealing Amnesty International has been able to conclude before it began exposing its role in the persistence of Boko Haram terrorists in Borno state and environs. “On the side line, let us quickly mention that there has been a kind of deafening silence on the part of Amnesty International whenever Nigeria’s francophone neighbours suffer Boko Hara attacks. Perhaps the explanation is that Amnesty International does not have French speaking operatives on ground in these places to carry out its questionable activities. In reviewing this situation, it is pertinent that the wellbeing of the citizens takes precedence because each successful operation that Amnesty International carried out, whether by way of its dubious report, tipping off terrorists or clandestinely colluding with them and more recently running their propaganda, makes the quality of life of citizens compromised. Thanks for the update it's really good to know we still got nationalist and patriotic bloggers.